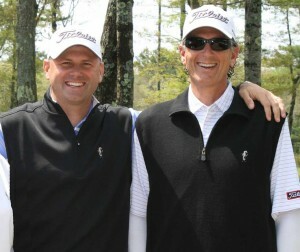 Head Golf Professional, Greg Yeomans has captured the Cape Cod PGA Wessner Player-of-the-Year Title for the fifth consecutive year while Assistant Professional, John Paesani finished 2nd in the race. The Dutch Wessner Trophy is presented to the Cape Cod Chapter Player who accumulates the most points throughout the season. While it was a close race to the finish, Greg clinched the title by winning the NEPGA Cape Cod Pro-Am hosted October 29 at the Bay Club. Â For more, pleaseÂ click here. The Bay Club at Mattapoisett is a country club with an eighteen hole championship level golf course and residential property located in Southeastern MA.Â Â To arrange a private tour please contact Dave Andrews viaÂ e-mailÂ or phone, 508-207-9232. Author Tom Clavin recently visited the Bay Club to discuss his book The DiMaggios: Three Brothers, Their Passion for Baseball, Their Pursuit of the American Dream. In The DiMaggios, Tom draws on a wealth of source materials, interviews with family members and teammates, and in-depth reporting to reveal how three kids from an immigrant family of eleven found their way to the upper echelons of American sports and popular culture. A vivid portrait of a family and the ways in which their shifting fortunes and status shaped their relationships, it is also a transporting exploration of an era and a culture, using baseball as a lens to view and understand American society in the twentieth century. He reveals the untold Great American Story of three brothers, Joltinâ€™ Joe, Dom, and Vince DiMaggio, and the Great American Gameâ€”baseballâ€”that would consume their lives. Tom is an acclaimed sportswriter and journalist who has authored 15 books, including biographies of Roger Maris and Gil Hodges. Hewas a contributor to the New York Times for 15 years, and the publications for which he has written include Golf Magazine, Manhattan, Men’s Journal, Parade, and Smithsonian. His next book, to be published in November, is The Heart of Everything That Is: The Untold Story of Red Cloud, an American Legend. Members enjoyed a special post lecture buffet at the Golf House restaurant featuring Sous Chef Kristin Costa’s House Made Lasagna.